Born and raised in Charlotte, as the youngest of seven children, Dan Sleet knew he would need to find a way to fund his higher education. Furman University recruited him with a full football scholarship to play defense, but when another player was injured, the coach converted the future judge to offensive guard. Judge Sleet was recognized as an A.P. All American, and twice named to the All Southern Conference First Team. After earning his BA degree in history, Judge Sleet attended Cumberland School of Law, where he made the Dean’s list, was a member of the ATLA Mock Trial National Championship Team, and a director of Trial Advocacy. Under a special program in Alabama, he also worked for two years as a Magistrate for the City of Birmingham, to help pay his way. The magistrate position helped prepare him for his first job after law school. From 1987 to 1991, Judge Sleet served as an assistant state attorney in Hillsborough County, during which time he tried over fifty jury trials, and over 500 non-jury trials. From prosecuting, Judge Sleet joined what was then a four-person firm of Barr, Murman, Tonelli, Slother & Sleet. The firm had grown to twenty-four lawyers when he applied and was appointed to the circuit bench in Hillsborough County in 2006 by then Governor Jeb Bush. While on the circuit bench, Judge Sleet presided over 9,000 felony cases and over 135 jury trials. 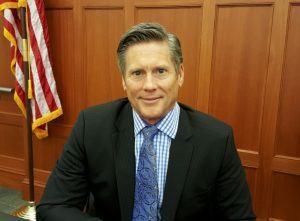 In late 2011, he moved to the family law bench, until being appointed to the Second District late in 2012, as Governor Rick Scott’s first appellate appointment in this district. While on the circuit bench, Judge Sleet read the parties’ motions in advance and typically ruled at the hearing, rarely taking matters under advisement. On the appellate court, he says he is learning something new every day, and is always cognizant that they must have at least two out of three judges agree before they can issue an opinion. Judge Sleet has taught trial advocacy as an adjunct professor at Stetson University College of Law, where he has also served on the Trial Advocacy Board. 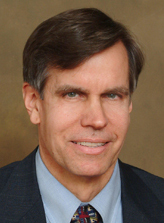 He has been active in local public schools, including as a Justice Teaching volunteer. He is a master in the Herbert G. Goldburg Criminal Law American Inn of Court. Judge Sleet and his wife Helen, also a lawyer, have two daughters. For nonlegal activities, he enjoys traveling. He has visited Greece ten times, and describes Santorini, Greece, as among the most beautiful spots he has seen. From our discussion for this article, it is apparent the Judge Sleet approaches his new position with energy and dedication (when we spoke, he had already analyzed a United States Supreme Court opinion issued the preceding day, down to the issues it had addressed and had left unresolved). We are fortunate to have him continue his service to the citizens of Florida in his new role as a judge on the Second District.